This the first book I have read by this author who I know is very highly regarded by many other bloggers I follow and I can see why. Last Letter Home is just the kind of book I enjoy. As you’ll possibly know if you have followed my blog for a while, I never can resist a book which involves letters which is why I was drawn to this one and I do love a dual time line story. Whilst on holiday in Italy, Briony comes across a beautiful but abandoned old villa in the hills above Naples. When asking about it, she discovers that it was used by soldiers during WW2. Her grandfather had been stationed in the area during the war so she is curious to know whether he might have been at the villa. An old film reel seems to suggest that he might have been and when she is given some old letters found at the villa, she becomes determined to find out more about the villa, the letter writer and the recipient. Last Letter Home is a book that took me back in time to Italy in two ways. First of all, it brought back memories of when I was on holiday last year near Sorrento. I could completely identify with the stifling summer heat that the author writes about so vividly. Secondly though, was the journey back to wartime Italy. I think that the author has captured perfectly the atmosphere not just of Italy at the time but also of Britain before and during the war. In particular, the way that half-German Paul was treated by people in the lead up to the war was well depicted. It seemed harsh to have been so suspicious of a man who had lived in their midst for some time, so I was pleased that Sarah could see him for who he really was. It was sad to read about how he was still mistrusted after the war, even though he had fought for Britain. The modern part of the story had a very different feel from the historical part of the story. I liked the main character Briony very much and, like her, I can see that I would have become obsessed with uncovering the mystery of the villa, the photos, the old film and the letters, especially if I thought there was a family link to the whole story. The characters she meets as she investigates the letters and the family mystery seemed very realistic especially the older characters reluctance to talk about experiences which to them were not history, but times they actually lived through. I loved the sense of mystery and the gradually unfolding of the story. I particularly liked the way the author connected the stories in the past and present. 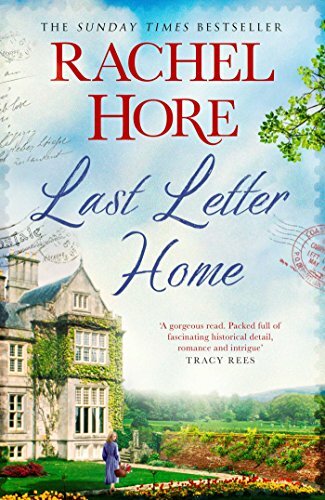 Last Letter Home is an absorbing story about love, family and friendship. 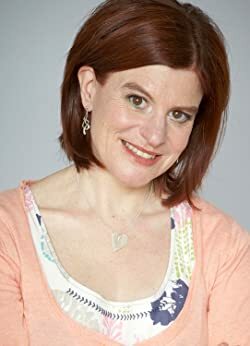 Rachel Hore worked in London publishing for many years before moving with her family to Norwich, where she teaches publishing and creative writing at UEA. She is married to writer D. J. Taylor and they have three sons.